Let's acknowledge, then set aside for a moment, the band's obvious debt to Santana as their early musical template. Beyond that, we can hear examples of fine, melodic songwriting -- mainly from keyboardist Stan White on the first album, but consummately taken over by guitarist and vocalist Tony Hamilton on the second -- that displays a diversity of influences while still keeping the band's innate individuality. It's a bit like their contemporary peers, Sebastian Hardie or Sherbet, who also had a hard time living down copious (and mostly bogus) comparisons while they tried to forge an original path. For a start, Tony Hamilton's guitar was never less than wonderful. He sang commandingly, with soul, atop Jim Yonge's fluid drumming, supported by the anchorage of Graeme Thompson's throbbing bass. Keyboards were vital to the Pirana sound, and Stan White and his successor, Keith Greig, provided rich Hammond organ reinforcement for the overall feel of the band. 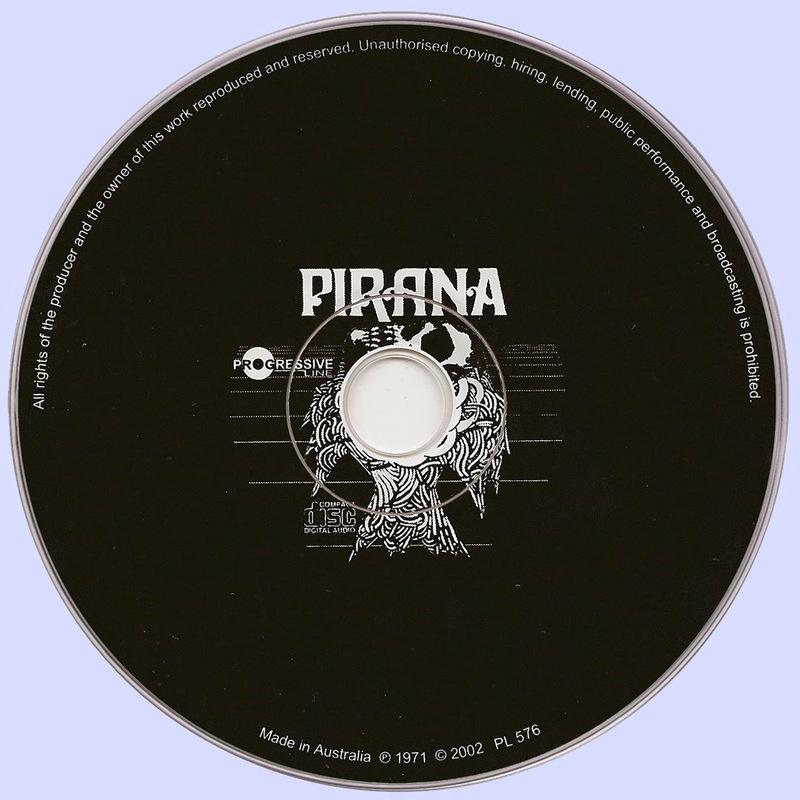 In Pirana, members came and went, but it is essentially the core band comprising Duke-Yonge, Thompson, Hamilton and Greig (who replaced Stan White after the first LP), who made the records and sustained the bulk of the band's performing tenure, and must be most remembered as the definitive entity. Hamilton, Thompson and Yonge were all ex-members of Gus & The Nomads, a 60s R&B/pop band fronted by "the wild man of Sydney rock" Gus McNeil. 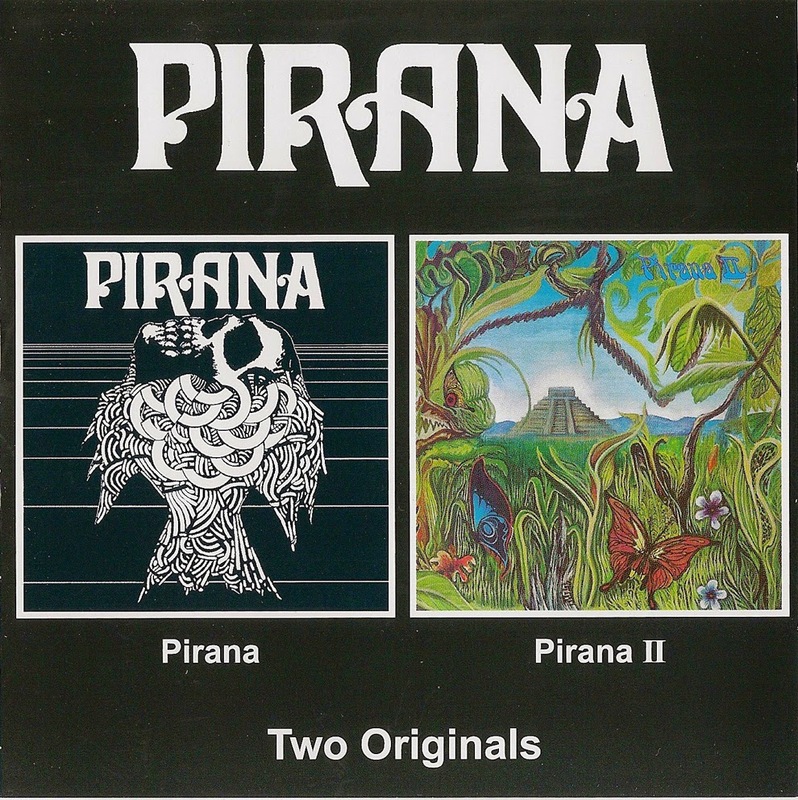 Gus was executive producer on Pirana's debut album, and several others including the legendary A Product Of A Broken Reality for Company Caine, Greg Quill's early solo recordings (including the Fleetwood Plain). Gus also set up his own publishing company, Cellar Music, which (besides Pirana) also handled publishing for Mike Rudd, Greg Quill, Ross Wilson and Gulliver Smith. 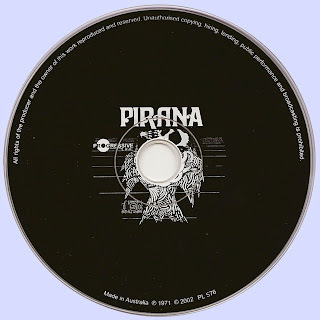 Pirana's first recordings were as the backing group for Greg Quill's 1970 solo album Fleetwood Plain. They signed to Harvest in 1971 and issued two singles. Here It Comes Again (May) was reputedly the first local single released in stereo, and can still be found on Raven's Golden Miles compilation CD; the same month they toured nationally as support band on the historic package tour by Deep Purple, Free and Manfred Mann's Chapter Three. Their second single was "I Hope You Don't Mind" (Nov.) Late in the year Stan White left to join pop band The Going Thing, and he was replaced by Keith Greig. In concert they were always regarded as a top-drawer act; they went down a storm at the inaugural Sunbury rock festival, and their live version of Santana's "Soul Sacrifice" earned them a track on the Sunbury '72 album. EMI issued their second LP Pirana II in November 1972, by which time Richard McEwan had replaced Hamilton on guitar. Andrew James replaced Greig in 1973 and Phil Hitchcock replaced Graeme Thompson on bass in 1974. The band continued to work on the dance and pub circuit, but they didn't record again, and they eventually broke up in late 1974. Duke-Yonge (aka Jimmy Tonge) went on to work with Corroborree, the Anne Kirkpatrick Band and Bullamakanka and in the late 1970s Keith Greig was a founding member of The Brucelanders, who went on to considerable acclaim in their later incarnation as The Reels (minus Keith).